Welcome to acoustic fencing for affordable and effective acoustic barriers, noise reduction panels and noise fencing. The commercial acoustic fencing is a noise reduction panel, modular and versatile, formed to create acoustic sound barriers on construction sites. The Acoustic Fencing does not require foundation work and is extremely simple and quick to install. Also they can be reused time and time again. Mounting the panels next to each other to create a complete barrier system that allows a virtually seamless wall to contain the dust and noise of any construction or event site, in addition to being an effective visual barrier for promotion of the company branding. The sound insulating acoustic fencing is the ideal sound solution panel to reduce noise pollution generated by construction work and event sites in close proximity to residential or protected areas. Studies show that acoustic fencing on construction and events sites lessens complaints received by contractors. 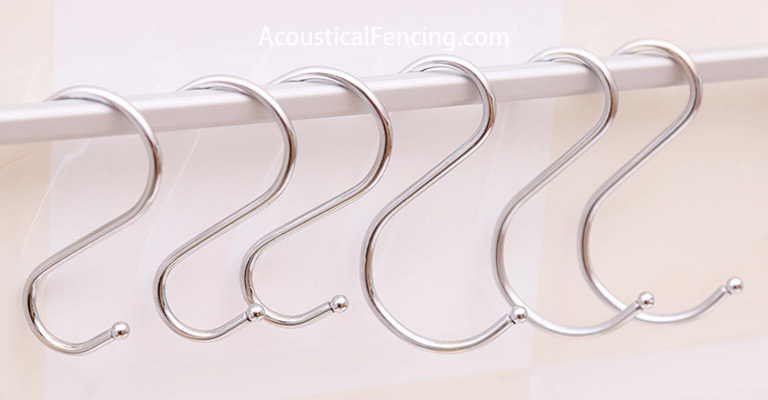 Acoustical fencing is often used in many industrial applications, in public exercises such as bars and discotheques or for residential installations. 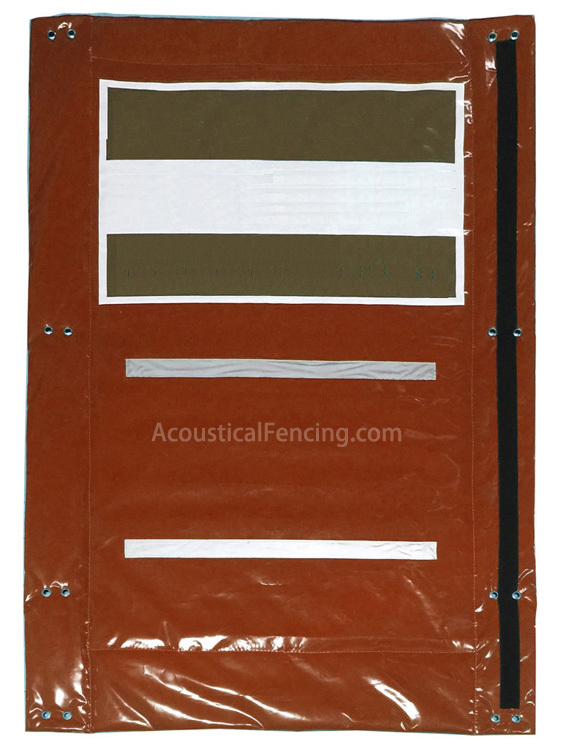 The acoustic fencing sound reduction panels provide a typical field attenuation on site of 15-27dB depending on geometry. Most acoustic fencing reviews are positive and they recommended for installations both inside and outside are resistant to all weather conditions. It is used in all cases in which noise reduction is required for the acoustic impact of the activities on sensitive receptors. We offer an existing range in two standard sizes: Acoustic Fencing AF3 (1.2m x 2.4m) and AF3 plus (3.5m x 2m). However, we also have extensive manufacturing capabilities to satisfy the differing specific needs of our clients by providing tailored barriers to any dimensions. We are fully equipped to deliver large volumes to even the tightest of deadlines. Our tailoring options also extend to custom density and type with regards to the sound absorbent material within the barriers. In addition corporate branding options are available. Acoustic fencing can be installed on any type of fence. Specially designed to be installed with ease and in the absence of skilled personnel, is available in two versions: 19dB and 27dB version. 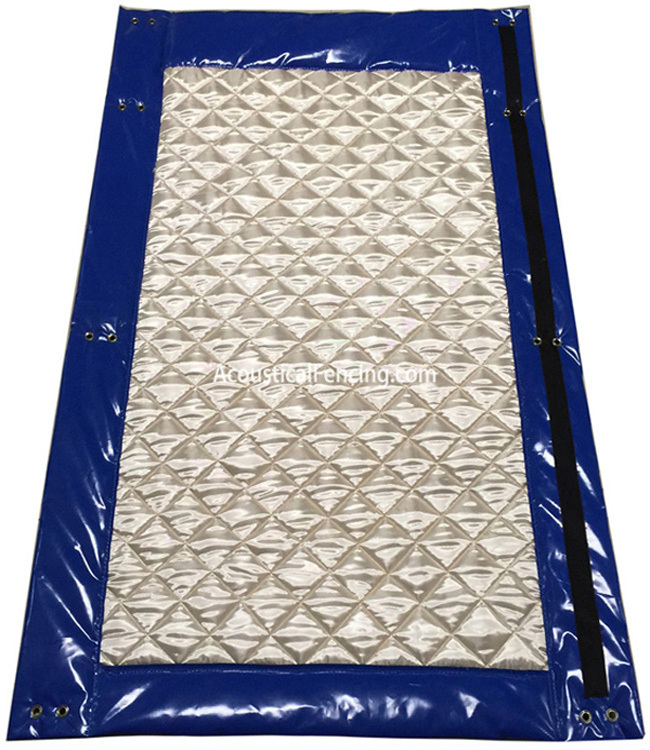 In both versions with mounting enclosure, the panel has eyelets, hooks and accessories that allow for installation on any type of metal fence construction, grilled, scaffolding or residential fence. Acoustical Fencing for car washes.